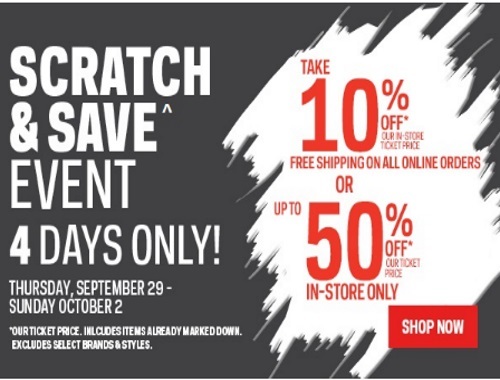 Sportchek Scratch & Save Is Back: You Could Take 10% to 50% Off! Offer is valid Thursday, September 29-Sunday October 2, 2016. Click here to browse Sporchek.